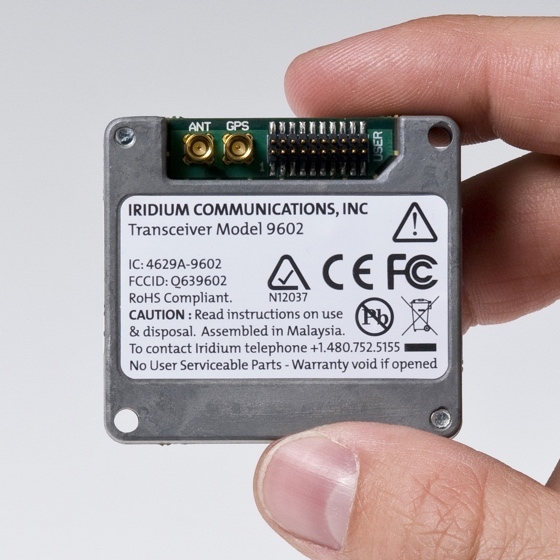 9602 is intended for incorporation into a final Iridium subscriber product that would supply power, provide an antenna, and provide user interface components such as keypad and display. The 9602 is a small, low-cost satellite transceiver designed to operate with the Iridium network in SBD-only mode. It is intended to be used as a daughterboard fitted on another host system motherboard.The 9602 communicates with a host system through serial interface at 3.3V digital signal levels instead of RS232.